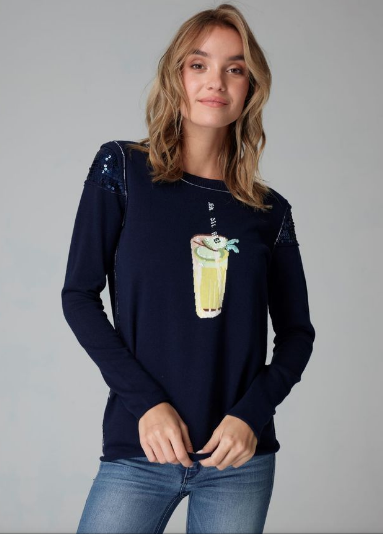 Long sleeve sweater featuring iconic intarsia lemonade embellished with sequin shoulder inserts. 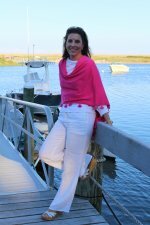 Rolled hem and cuffs. Slim fit. 100% comfy cotton.